So much is happening in Austin, in terms of commercial and residential real estate, that sometimes I think I'm barely scratching the surface. This once sedate, slow-paced education and government-based state capital is now one of the hottest markets in the country. What's not to like? Still, there are a few concerns that come to mind looking ahead to 2016. 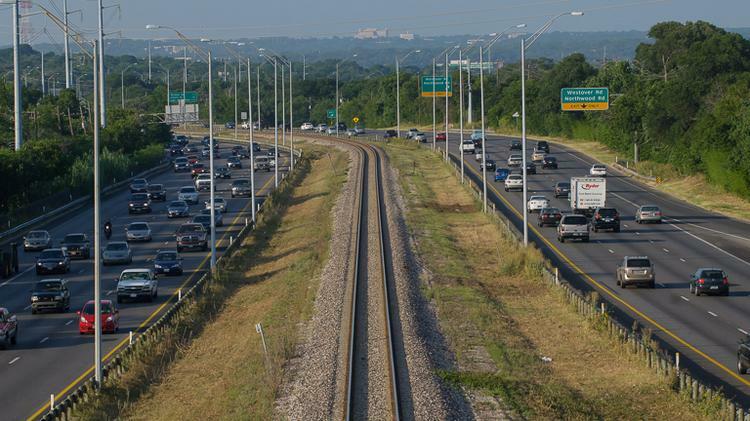 For example, what will become of the Mopac Expressway improvement project that is way behind schedule and continuing to create unbearable traffic tie-ups for thousands of Austin commuters? Though some attention was brought to bear in late 2015 when the Central Texas Mobility Authority issued a notice of default to CH2M Inc. — the Denver-area based contractor that failed to deliver the project in September as promised — the real estate community doesn't seem up in arms about it. They should be. It could take weeks to figure out a solution and new timeline, and this debacle drives home the point that Austin can't seem to get its act together when it comes to transportation. Eventually the word will get out to the rest of the world and economic development here will sustain a major hit. Another snafu is the Waller Tunnel construction project, which broke ground in 2012 and was projected to deliver in 2014. Located on the east side of downtown Austin, the major flood control infrastructure project is over budget and way behind schedule. Another contracting snafu was at play there, when the city discovered last year that the design of the project encroached on the protected Capitol View Corridor. Construction stopped. Fingers were pointed. The project had to be redesigned and the city allocated more money. The project — which voters approved more than 15 years ago — still isn't finished. All the while politicians and bureaucrats continue to pat themselves on the back for all their accomplishments. In reality, many of my sources opine, the city of Austin and important organizations such as the Central Texas Mobility Authority need to up their game dramatically if the economic euphoria is to continue. And it's not just public projects that I'm wondering about as we head into the new year. I've had several readers comment on the apartment development that has appeared stalled on multiple occasions at Barton Springs Road and South First Street. Alliance Residential based in Phoenix is building a garden-style apartment dubbed "422 at the Lake." The project dates back to early 2013 when Alliance Residential purchased several businesses, including the popular RunTex store, and demolished them to make way for the multifamily project. In June 2013 Alliance Residential executive Brandon Easterling said the apartments would deliver in April 2015. The project still appears far from completion and numerous inquiries to Alliance Residential have gone unanswered. In the meantime, a lane of heavily traveled South First Street remains blocked off and the asphalt around the development has been damaged by construction traffic. I'm still waiting to hear from city officials about the delays from their standpoint. Finally, I've had several emails from readers about the future of 211 S. Lamar Blvd. where Major League Baseball player Houston Street planned to build a high-rise project with family members. It doesn't appear that anything will be happening in the near future. Eater Austin website and Community Impact Newspaper report that Pollo Tropical, a sister company of Taco Cabana — which had a store at the site for years — will open soon. In early 2015, Street told me he had no expectation of breaking ground in 2015. The new lease signed with Pollo Tropical implies that the delay may be even longer than Street first hinted. What surprises will 2016 bring? I hope you'll help me keep tabs on it all and join me on the ride.